Dr. Francis Blankenberg graduated from the David Geffen at UCLA. He completed both his internship and residency program at the Stanford University. He is specialized in Radiology and board certified in Diagnostic Radiology. 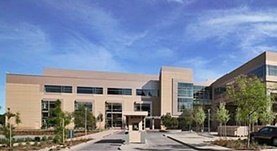 Dr. Blankenberg has been in practice for more than 20 years and is affiliated with the Stanford Health Care. During his career, he has also contributed to various research publications. Dr. Francis Blankenberg has contributed to 3 publications. (99m)Tc-Annexin A5 quantification of apoptotic tumor response: a systematic review and meta-analysis of clinical imaging trials. Belhocine, T. Z.,Blankenberg, F. G.,Kartachova, M. S.,Stitt, L. W.,Vanderheyden, J. L.,Hoebers, F. J.,Van de Wiele, C.; Eur. J. Nucl. Med. Mol. Imaging. 2015 Aug 16. [(99m)Tc]Annexin V-128 SPECT Monitoring of Splenic and Disseminated Listeriosis in Mice: a Model of Imaging Sepsis. Hardy, J. W.,Levashova, Z.,Schmidt, T. L.,Contag, C. H.,Blankenberg, F. G.; Mol Imaging Biol. 2014 Nov 25. Ferumoxytol enhanced resting state fMRI and relative cerebral blood volume mapping in normal human brain. D'Arceuil, H.,Coimbra, A.,Triano, P.,Dougherty, M.,Mello, J.,Moseley, M.,Glover, G.,Lansberg, M.,Blankenberg, F.; Neuroimage. 2013 Jul 3.